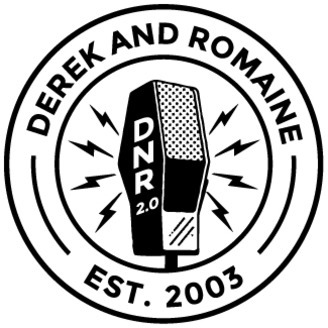 Derek and Romaine is a fun daily digital radio show. Listen live like a radio show, download anytime like a podcast! This free podcast is just a sample of the great content available everyday to subscribers. 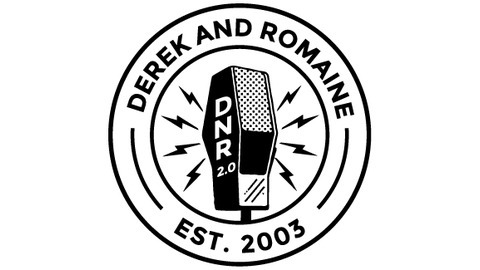 Subscribers can listen live weekdays or download anytime for as little as $6.45/month at derekandromaine.com. Great guests, lively banter and live phone calls from listeners like you from all across North America make the DNRShow something special. Plus hundreds of hours of past shows in the Audio Archive and streaming access to other shows in the DNR Studios network make subscribing a great bargain. Don't miss out! Plus with one click, add the live show and audio archive to iTunes and the Podcasts app on your iPhone or iPad, or for Android and other smart phone users, add your private URL to your fave podcast app! Listen anytime, anywhere! LGBTQ and straight allies welcome!